There are only three known pieces of jewelry that once belonged to beloved author Jane Austen. Austen was a well-known 19th century author who gave the world classics such as Sense and Sensibility and Pride and Prejudice. 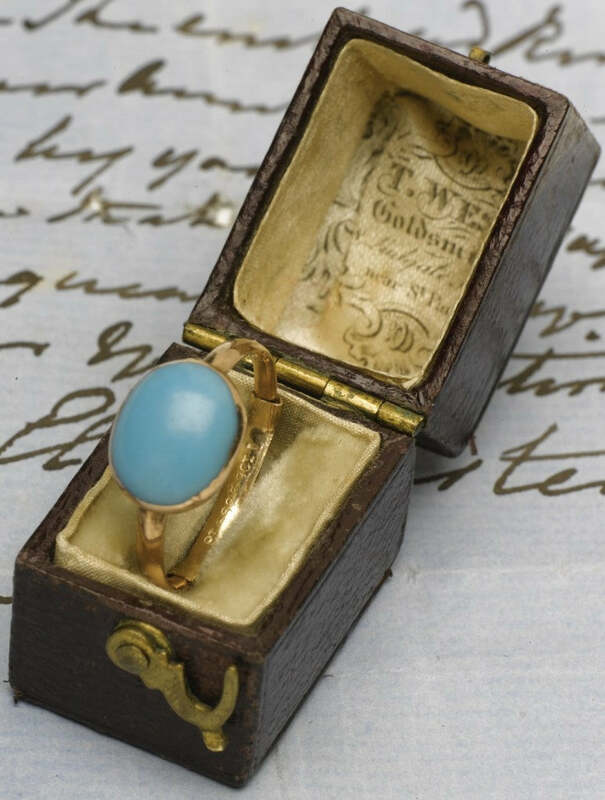 Last year, Austen’s gold and turquoise ring went to Sotheby’s for auction, where the piece was purchased by pop singer Kelly Clarkson. The sale price was listed as $231,227 (£152,450). A temporary export bar has been issued by UK Culture Minister Ed Vaizey, which means the ring is unable to leave the UK. The Department of Culture stated that the ring is being held in the UK “on the grounds that it is so closely connected with [Britain’s] history and national life that its departure would be a misfortune.” Vaizey could refuse to grant Clarkson an export license, which would make the situation permanent. There are only two other pieces of jewelry in existence that previously belonged to Jane Austen, which consists of a turquoise and ivory bracelet as well as a topaz cross. Austen’s brother Charles bought both Jane and her sister Cassandra each a topaz cross with prize money earned from the Navy after assisting in the capture of a French ship during the Napoleonic Wars. The bracelet and both crosses are on display at the Jane Austen House Museum in Chawton, Hampshire. We are interested to see what happens with this situation. Although Clarkson wasn’t able to wear her ring home to the United States of America, she did not leave the auction completely empty-handed. At the same auction, she also picked up a first edition copy of Northanger Abbey and Persuasion for $6,200 (£4,000), which was published posthumously.